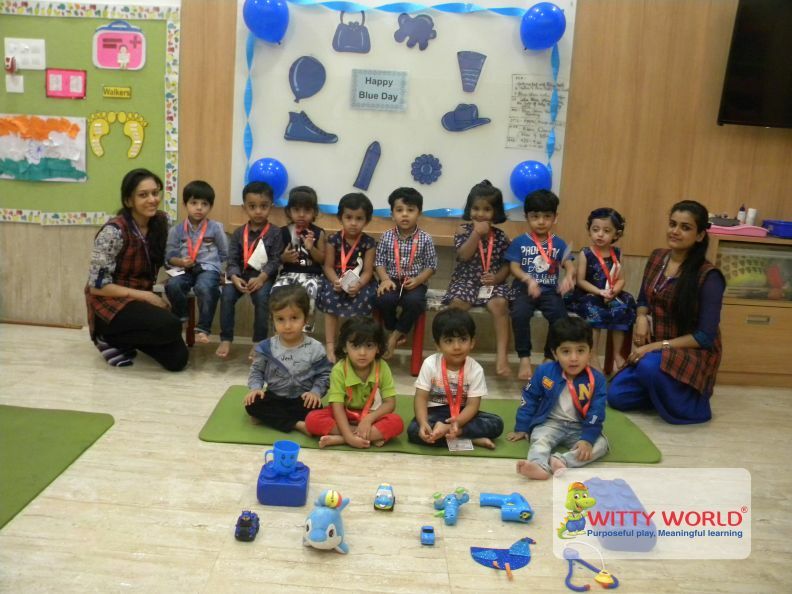 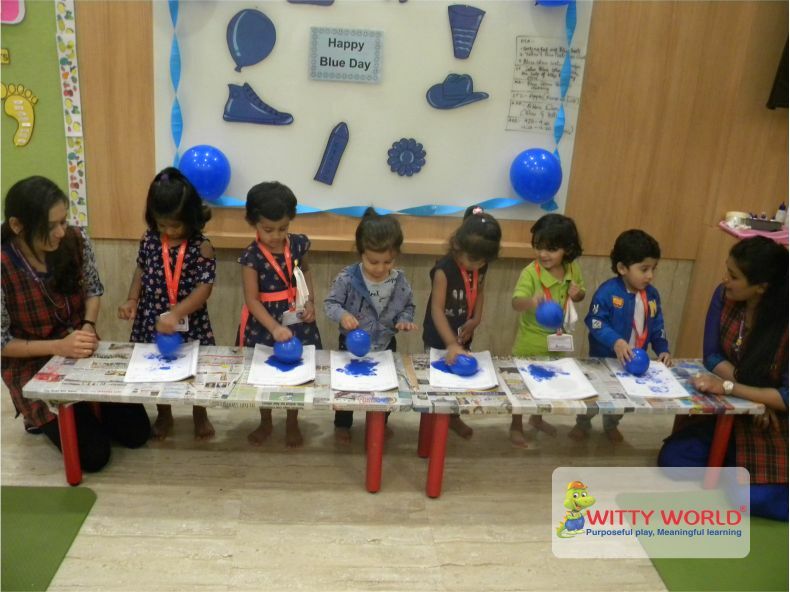 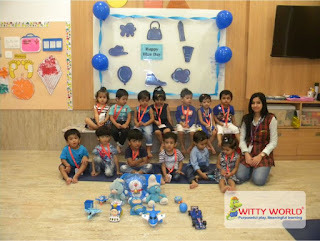 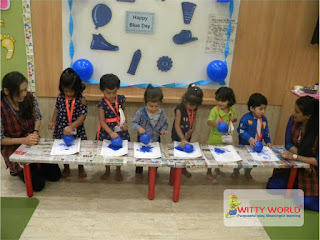 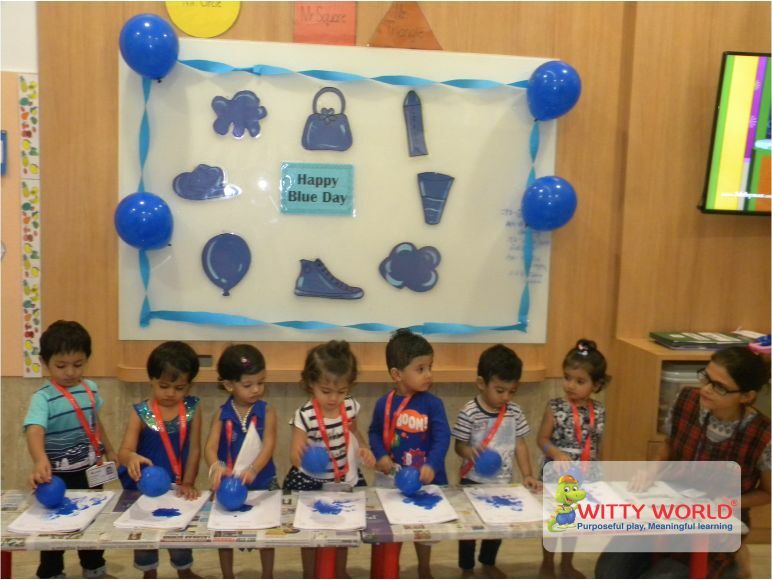 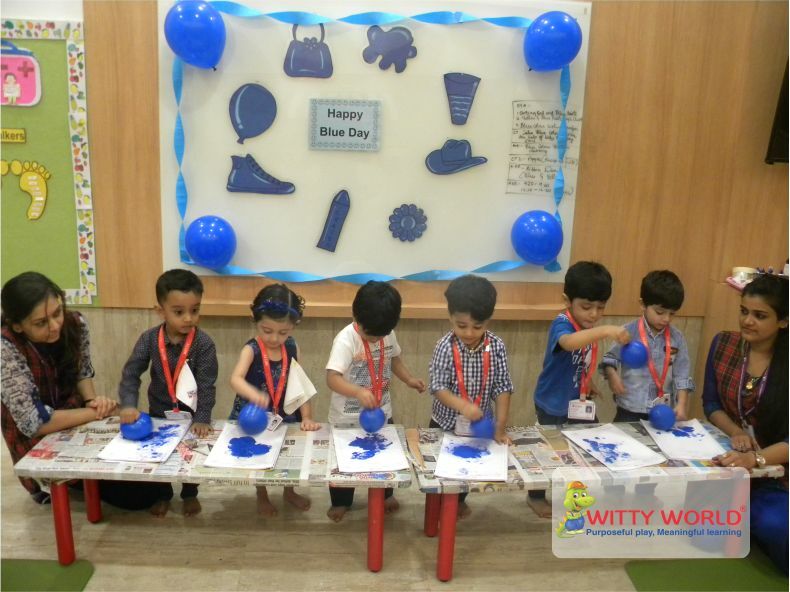 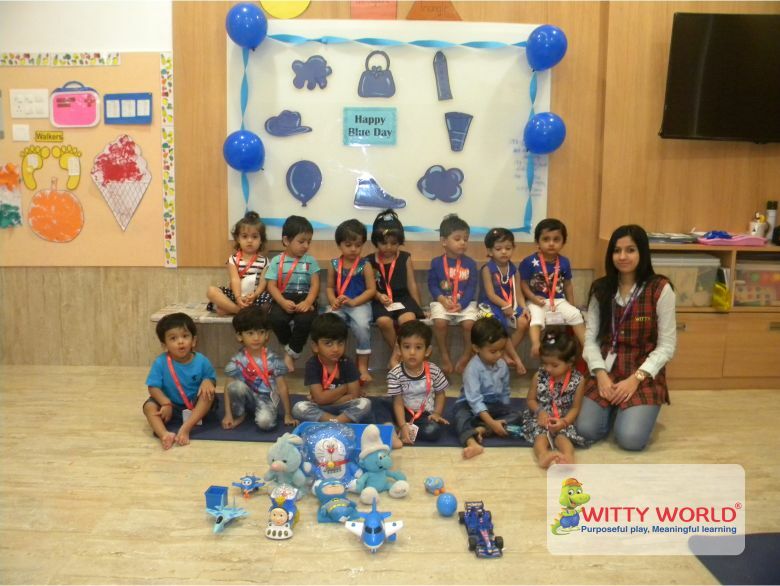 Little Wittians of Playgroup at Witty World celebrated “Blue Day” on Wednesday, 23rd August, 2017.The classroom was pre decorated to give the blue day feel. 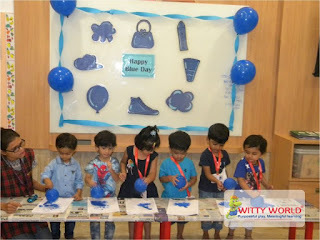 Children and teachers came dressed in blue colour clothes and brought their favourite blue colored object from home. Children enjoyed watching an AV on the “The Billy Blue Boy!” and doing a blue colour dabbing activity in their worksheet further reinforced the concept.